From the most reliable, feature-rich business phone service, to our completely integrated training and customer service solutions, Callture makes setting up and running a voip phone service easier than ever. Not only will your customers be happier, you’re business will automatically be optimized for the highest levels of profit across your customer and services areas. and the infrastructure you need to build an entire business in a matter of days. Get up and running in just days while enjoying world-class service, the latest tech, and 99.99% uptime. 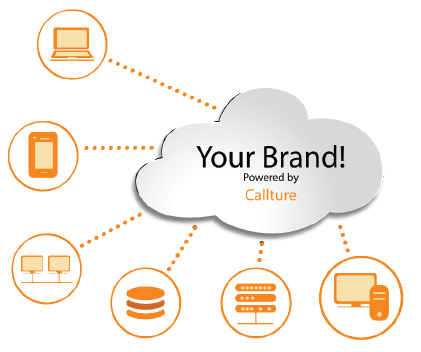 With over 17 years of experience providing voip services to clients around the world, Callture now offers a complete white label solution to empower any company to sell and manage enterprise-class services. In a matter of days, a company can launch a profitable company without any of the hardware or development costs traditionally needed in this industry. Even better, with Callture’s complete training suite and help staff, there’s no need for to spend years gaining the insider knowledge and experience needed to successfully run a voip business -- all the resources and help you could ever need are just a click or call away. Communication is what we do. Callture has built its system entirely from the ground up without any outside financing or major technological partnerships. This means that we don’t pay licensing or financing costs -- savings which are passed on to you. Unlike companies who build systems solely for third party use, the Callture system has been sold as our primary service from the outset. In this way, our white label system is more like a franchise than a standard telephone solution - a real communication business built by an actual communication company. Our platform and technologies have been optimized and automated for maximum profitability and consistently lead the market. We know the business better than anyone else and are committed to helping you succeed. Your brand is our priority! More features, better reliability, and 17 years of experience means that you do less and your customers get more. We offer the best services,the latest modern technologies, and the complete infrastructure you need to build an entire business in just a matter of days.